Cornerback Shilo Sanders, son of Deion Sanders, took to Twitter to announce that he has received a scholarship offer from his father's alma mater, Florida State. The 6-foot, 180-pound Shilo Sanders is a senior at Trinity Christian High School in Cedar Hill, Texas, and is rated as a three-star recruit on 247Sports.com's composite board. "I am extremely grateful and blessed to receive an offer from Florida State University! Thank you to my coaching staff and teammates at @TCCHFootball," the younger Sanders wrote on Twitter. Sanders has offers from about 10 schools, including Georgia, Nebraska, Oregon, Oregon State, South Carolina and Syracuse. 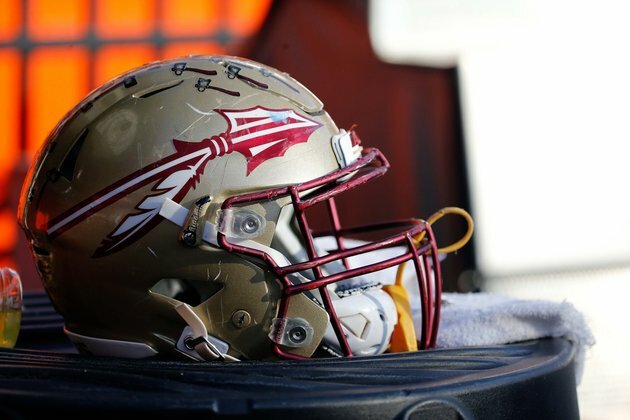 He reportedly will make a visit to Florida State after the high school season is over. His younger brother, Shedeur, is a highly-regarded sophomore wide receiver at Trinity Christian who received an offer from the Seminoles in February. Deion Sanders is Trinity Christian's offensive coordinator. "To me, it's extremely a blessing to have the same opportunity my father had and to potentially have the opportunity to carry on his legacy," Shilo Sanders told ESPN. Deion Sanders, a member of the Pro Football Hall of Fame and the College Football Hall of Fame, played 13 seasons in the NFL with the Atlanta Falcons, San Francisco 49ers, Dallas Cowboys, Washington Redskins and Baltimore Ravens. He was selected All-Pro eight times and played on two Super Bowl champions. Sanders was a two-time All-American cornerback for the Seminoles, had his No. 2 retired by Florida State and earned the Jim Thorpe Award in 1998.